Seawater greenhouses may be the answer to the world’s water scarcity problem, says Prof Gert Venter. 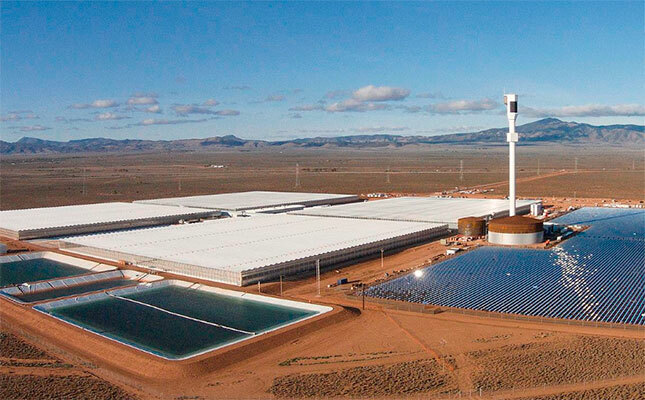 The Australian Seawater Greenhouse in Port Augusta. This seawater greenhouse was built to address a range of challenges similar to those encountered in South Africa, including water scarcity, water salinity, and rising input costs. The recent drought in South Africa has made us acutely aware of water shortages, with many municipalities introducing water restrictions in their efforts to curb water wastage. The drought underlined the importance of water for the survival of man, beast and vegetation. A total of 71% of the Earth’s surface is covered with water. However, 97,5% of this consists of salt water. The rest, a mere 2,5%, is available for domestic consumption, as well as for industrial, mining and agricultural purposes. A 2006 report released by the UN’s Food and Agriculture Organisation (FAO), shows that 69% of global freshwater is used for irrigation. 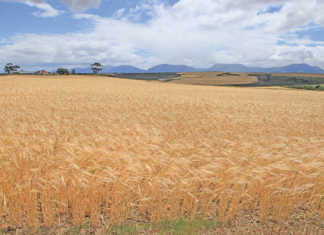 Over the years, agriculture has been more and more heavily criticised for its inefficient use of water resources, as well as the chemical pollution of rivers, dams and groundwater as a result of the use of fertilisers and other substances for pest and disease control. The increasing demand for water, caused by the growing world population, and increasing water supply shortages, are two of the most certain and predictable scenarios of the 21st century. The time has come to invest in using more of the 97,5% seawater for food production and domestic purposes. Another challenge to the survival of humankind is the dwindling areas of arable land, which is mainly caused by urban expansion, mining or industrial activities, and increasing demands for new roads and airports. These challenges force us to take a critical look at our water resources, and investigate new locations in which crops can be grown. A possible solution to this is the use of seawater greenhouses, which provide an environment suitable for growing plants in coastal desert areas through the use and desalination of sea or brackish water. These greenhouses are designed to provide desalination, cooling and air humidification in an integrated system, using sunlight as their primary source of energy. Seawater greenhouses use sunlight, seawater, and the ambient air to produce fresh water, and cooler, moist air, to cultivate horticultural crops in remote and arid coastal areas, or in other regions with high salinity groundwater unsuitable for crop production. Air entering the greenhouse is pulled through evaporative pads with salt water trickling downwards over them. Seawater evaporation cools the hot air to create fresh and humid conditions in the greenhouse. The entire front wall of the greenhouse, facing the prevailing wind, is a seawater evaporator. The wall consists of a traditional wet wall system in which surface seawater trickles down over a cardboard honeycomb lattice to cool and humidify the air before it passes into the plant growth area. 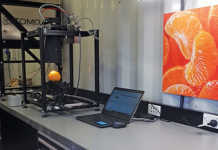 Insects, dust, pollen and salt spray are filtered out, purifying the air. The cool air, receiving solar radiation in the greenhouse, becomes warmer as it passes over the plants in the growth area while picking up extra moisture from plant evapo-transpiration on its way to the far end of the greenhouse. The second evaporator, at the far end of the greenhouse, is similar to a wet wall system. Hot surface seawater, heated by the sun while flowing through a solar heating system above the plants, evaporates, adding more moisture in the form of steam to the warm air at the end of the growth area and humidifying the air to saturation. The heating system in the roof consists of closely spaced, black polyethylene pipes that selectively remove radiation that does not contribute to photosynthesis. This shading effect helps keep the greenhouse cool so that crops can grow under high light conditions without scorching. The saturated air from the second evaporator passes through a condenser using cold seawater deeper down. The moisture in the saturated air condensates onto the outside surfaces of the condenser in the form of pure distilled water. 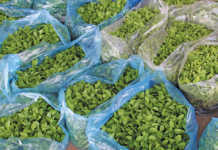 This is collected and stored in a reservoir where nutrients are added to irrigate the plants in the greenhouse. Surplus distilled water is used to irrigate crops growing outside or under shade nets, or for drinking water and other domestic applications. 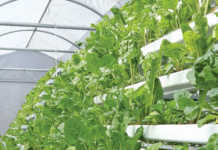 Seawater greenhouses can satisfy all the plants’ water demands with water to spare, and provide the climate and crop control typical of high-productivity commercial greenhouses, while avoiding the high environmental and economic costs of traditional cooling methods and modern water desalination systems. Many seawater greenhouses work on similar or slightly modified versions of the principles explained above. The most spectacular of all is probably the Sahara Forest Project Seawater Greenhouse. This combines two innovative technologies: concentrated solar power (CSP) and seawater greenhouses. It is designed to produce renewable energy, fresh water and food by growing a variety of crops in some of the hottest areas on earth, including deserts in Qatar, Tunisia, Jordan, Oman the UAE, and elsewhere. By using seawater to provide evaporative cooling and humidification, the crops’ water requirements are minimised and yields maximised, while the carbon footprint is reduced as far as possible.